Why Opt for Fast Drying Floor Screed? For many customers, there is one potential drawback with the installation of a concrete or screed floor: a long drying time. But there is a solution in the shape of fast drying floor screed. Concrete is formed when a chemical reaction takes places – sand, cement, aggregate and water. Concrete doesn’t set as such but cures. This is the process by which water evaporates from within the flooring slab. Drying times vary, depending on the mix and depth of the slab installed. As a rule, concrete cures by 1mm of thickness every day. Thus, a deep 7mm floor will take 7 days to be fully dry. Clearly, over larger areas, this drying time can be significantly more. 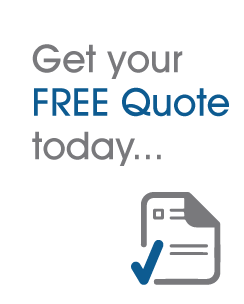 For many customers, domestic and business, the thought of a room or area of their property being out of bounds for weeks on end is not a welcome one. 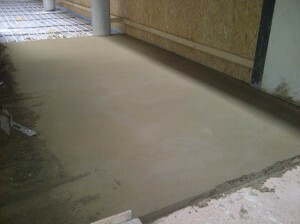 Until now, concrete drying times have presented a problem but not with fast drying floor screed. The main benefit of a fast-drying floor screed is the timing between installing the screed floor and covering with a floor finish. In some cases, this can be as little as 5 days from installation, which significantly reduces the build program time. Fast drying screeds were introduced to speed up the build process, as well as to reduce moisture left within new build projects. There are many variants of fast drying screeds available which dry at differing speeds and can be laid at varying depths. There are new fast drying floor screed products coming to the market all the time. At Midland Flooring, we are the cutting edge of new products and now have available a fast-drying cement based liquid screed.